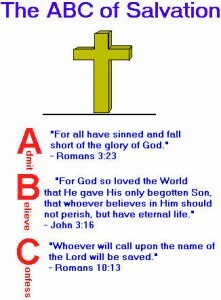 God is a loving God who desires for you to have eternal life but first we must recognize that we have a problem (admit it) then we must have faith in God (believe in Him) and lastly we must pray and accept Him as our savior (Confess). 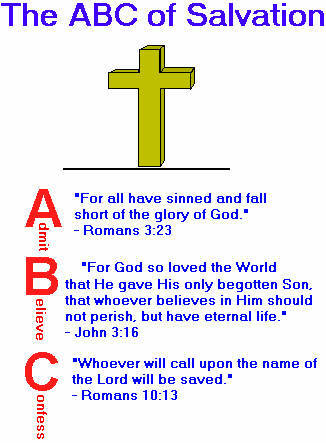 Suggested Prayer: Jesus I know I am a sinner and I accept your sacrifice on the cross for my sins I now accept you as my Lord and Savior. I pray in faith. Amen. After praying that prayer you can rejoyce for you are now a member of the family of God and can be sure of life in Heaven. Now all you need to do is go and live your life for Jesus and sin less, and believe in Him always.